The greatest wealth you could ever have is your health. What Are The Health Benefits Of Drinking Lemon Water? Drinking lemon water every day has become one of the more popular practices among people who want to keep fit and healthy. But what’s with lemon water anyway? What are the health benefits of drinking lemon water? In this post, we will look at 5 things that lemon water can do for you and why you should start drinking it every day. Lemon water is basically the juice of a lemon mixed with water. But how do we prepare it? Lemon water preparation is not complicated at all; you will need only two ingredients: lemon and water. Simply cut one fresh lemon into two, squeeze all the juice (with your hand or with the use of a juicer) and add it to a glass or two of warm or cold water. If you find lemon juice too strong for you, you can cut the lemon into slices, drop them into a pitcher of water (1 liter) and leave them for a few hours before drinking. Fresh lemons are recommended for maximum results. Do not get those little squeeze bottles from the stores because they not only contain preservatives and chemicals that are harmful; they also have no nutritional value. Citrus fruits like lemons are rich in vitamin C; a water-soluble vitamin and powerful antioxidant that helps to boost the immune system by neutralizing free radicals associated with aging and disease. Although lemons do not contain as much vitamin C as oranges, they are still a good source. According to the U.S. Food and Drug Administration one medium lemon (approx. 58 grams), contains 30.07 mg of vitamin C.
By the way, do you know that you’ll get more vitamin C from lemon peel than from a whole peeled lemon? One whole lemon contains just 53 grams of vitamin C while there are 129 mg of vitamin C per 100 grams of peel. We all know that water is the key ingredient of any detox plan and lemon water cleanse is a great way to make sure you drink lots of it. When waste and toxins accumulate in the body, particularly in the colon, it puts pressure on the liver and kidneys. Although the body is equipped with the means to eliminate toxins naturally (liver), drinking water on a daily basis will revitalize your liver allowing it to perform its function at an optimal level. Lemon juice or lemon water is a powerful way to cleanse toxins from the body. Aside from being a good source of vitamin C, lemons also contain the dietary fiber pectin that supports digestion. Several studies have shown fiber to improve digestion and gut health. Drinking lemon water will keep your digestive system healthy and enable it to process food more efficiently. The acid present in lemons is also shown to help digest food. Aiding digestion is especially important as we get older because the amount of acid in our stomach decreases with age. The vitamin C in lemons might actually help reduce skin wrinkling, dry skin from aging and damage from the sun. Also, the antioxidants in lemons not only help to reduce blemishes, they also help with collagen production, improving skin elasticity. Drinking warm lemon water every day will pave the way toward weight loss goals. Lemon water suppresses your appetite, naturally enabling you to eat less. You can drink as much lemon water as you want since it contains essentially no calories. For best results, drink the juice of one lemon in one cup of warm water first thing in the morning, that is, on an empty stomach. We all know that anything in excess is bad. While drinking lemon water gives many health benefits, drinking too much of it also has negative side effects. Lemon water might have a diuretic effect in some rare cases. As mentioned earlier, lemons are a good source of vitamin C or ascorbic acid known for its diuretic properties, which means it increases urine production in the kidneys causing the body to eliminate excess fluid and sodium more quickly. So if you start to feel dehydrated after drinking too much lemon water, you might consider cutting back the amount of lemon juice you add to your drink. Vitamin C in lemons increases non-heme iron absorption in the body. And if you happen to suffer from hemochromatosis, a rare inherited condition in which your body stores excess iron, your organs are in danger of getting damaged. *Note: Excess iron can damage your organs. 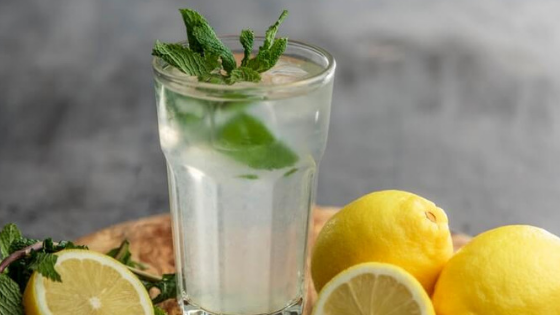 Drinking excessive lemon water may trigger heartburn or if you’re used to experiencing it, it could make this condition worse. Heartburn also referred to as acid reflux is a condition that occurs when the esophageal sphincter does not function properly. When this happens, acid from the stomach moves back up into the esophagus thereby causing severe burning and pain in the chest. In order to prevent and relieve heartburn symptoms, cutting back on acidic foods and drinks including lemon water is strongly advised. Overconsumption of acidic foods and drinks, such as many glasses of lemon water per day, can cause your teeth to have a constant amount of acid washing over them. This will not only erode your tooth enamel, but it will also make your teeth super sensitive to hot or cold foods and drinks. Drinking acidic beverages through a straw is a good way to protect your teeth. And if you’re already experiencing tooth erosion, you must consult your dentist. When is the Best Time to Drink Lemon Water? According to registered dietitian and weight loss expert Paul Salter, the benefits of drinking lemon water first thing in the morning may be more related to drinking water than the lemon itself. Salter further explained that drinking 2 large glasses of water can help rehydrate you after an extended period of not consuming any fluid. Drinking a full glass of lemon water is also a good way to jump-start your day because when you wake up in the morning your body is in a state of dehydration. Since you’ve gone roughly 8 hours overnight without food and water, your gastrointestinal tract is on a clean slate. Drinking a warm glass of lemon water helps to replenish the water that was lost overnight through breathing. 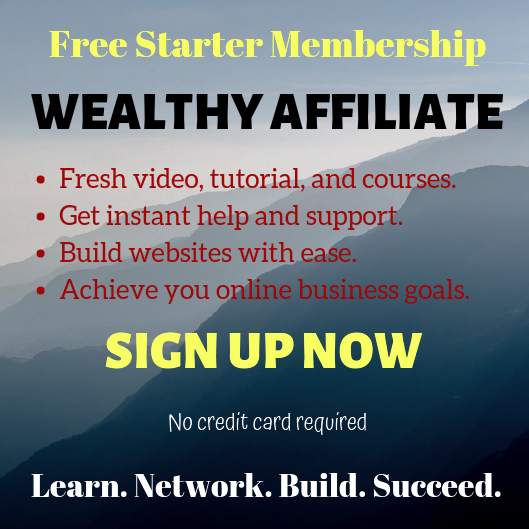 Previous Previous post: Blogging: Is it for Everyone? Alice, having kidney disease, and a frequent making of stones water daily, lot’s of it is the way to go. Whenever I am out I always drink water and ask for lemons. Home I also drink lemonade and filtered water. I consume approx 2 gal of water daily. Last check up kidneys doing very well. Yet just for overall health, you can’t beat Lemon water. When I have time I will be reading some of your other posts. I enjoy learning more health tips. Hey Bill, I’m sorry to hear of your kidney problem, I hope you’ll get better. Drinking lots of water is a good way to not only take care of our kidneys but to cleanse our entire system as well. But adding lemon juice to it will make it taste even better and thereby more enjoyable to drink. First of all, thank you for this well written presentation of the benefits of drinking lemon water. I am all about stuff like this and have actually been drinking Lime water (1 liter) every morning first thing when I wake up. I started because I felt like my kidneys hurt a little, or maybe felt irritated is a more correct word, and have to say that it feels like it have given results. Not sure if it is because of the Lime water but got a feeling that it is, also, it tastes amazing and so fresh when you drink it in the morning, and it gives me a lot of energy (especially as I fast for many hours when I wake up as well). Would you say lemon water and lime water have the same benefits? Or what is the difference? Thanks again for this great and interesting article! Hi John, thank you for reading and commenting on my post. Lemon water tastes really good; it’s very refreshing too when you drink it iced cold during the hot season. Drinking 2 glasses of water upon waking up is the popular advice because it’s a good way to rinse or cleanse our system. But adding lemon juice to our drink makes it better. I’d say lemon and lime are basically the same, which means they have the same benefits. Although I prefer lemon if it’s available because I find lime more sour or stronger. I love to drink lemon water! I drink it plain, no sugar added just like you suggested. Sometimes I added soda water / sparkling water to it and it is really refreshing especially during a hot day. Personally, I can really see how it helps with my skin, reduce break outs etc after I start drinking it more frequently. I have heard about people having gastric problem or heartburn problem after drinking it but it never happens to me. Hello Grace, thank you for visiting and sharing your experience. I also enjoy iced lemon water during the summer and it’s really refreshing. But I never tried adding soda water, hmmm … I should try it one time. Lemon is really great for the skin. It does not only help make our skin smooth and fresh, it can also help make your skin fairer. Some of my colleagues soak several lemon slices into a bucket of water and use it for bathing. Gastric problems or heartburn occur most probably as a result of drinking too much lemon water. As I said, anything in excess is bad. Hi! I have always loved lemonade. And it seems to be an inheritance because I see the same love for lemons in my grandma and my mom. But drinking lemon water has become very popular. And I have started to exercise consistently and more than once I have received this recommendation. I really didn’t know that we get more vitamin C from lemon peel than from a whole peeled lemon! And using a straw is an easy solution to prevent tooth erosion! Thank you very much for this very useful post. I used very low amounts of sugar in my lemonade, but from here on I’ll slash sugar and only use lemon and water! Hello Henry, thanks for stopping by! Drinking lemon water (or lemonade) is actually not something new. Our folks have been practicing it even before studies about lemon having many health benefits started coming out. You mentioned drinking lemonade for years, I hope you’re using fresh lemon not the commercialized lemon cordial. Yes, studies show that lemon peels contain more vitamin C than lemon juice. However, we must be warned to rinse the lemon very well with warm water because the peels might contain wax. By the way, you may want to use natural honey instead of sugar for your lemonade. I’m in the way of drinking a glass of lemon and water for some weeks. I must say that I do not drink more than a glass of water every day in the very morning. But it’s true that it helps to keep the need of food low. Probably even just drinking water helps but adding lemon gives even some vitamins that are good if you don’t take them in a huge amount. I think that, like every habit, it’s taken in the right dose, it can be a good habit! A glass of lemon water a day taken first thing in the morning should be enough to give us the benefits we want to get. 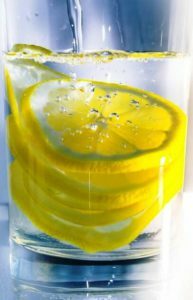 Water is actually the healthiest drink but adding freshly squeezed lemon or a few slices will make us want to drink more. Blogging: Is it for Everyone? Does Stress Cause Thyroid Problems? Alice on Frugal vs. Cheap: What’s the Difference? arnaiemhasan on Frugal vs. Cheap: What’s the Difference? Alice A. on Frugal vs. Cheap: What’s the Difference? icb50 on Frugal vs. Cheap: What’s the Difference?